Workplaces are undergoing a paradigm shift today. The truly maverick offices involve people on beanbags and recliner chairs and mayhem. The newest trend is to have a party at the workplace and a workplace at the party. And when you suddenly roll away from your system to talk to the IT ´dude´ next to you, do your headphones yank off? When you are on call on a headphone, hurrying between the conference rooms, do you require a third hand to carry the cable around? The best Bluetooth headsets allow you to get around actively while being on a call, without a wire nest. You can stay connected while driving, while eating or even when straying up to 33 feet away from your phone/laptop. 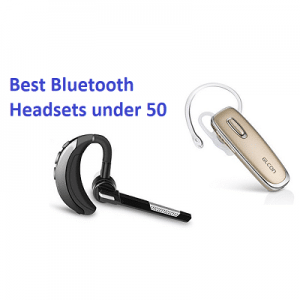 We selected the 10 best Bluetooth headsets under 50 that ensure smooth communication on a reasonable budget. Why switch to Bluetooth headsets? Wireless connectivity: The best Bluetooth headsets free you from the chains of headphones. You can get up and about without the cable tossing around. You won’t trip on the extra-long headphone cable while walking back to your desk. And in general, you won’t look dorky while taking a call on your phone with large office headset on your head and its heavy duty cable draped around you. Ease of use: The headphones with microphones are usually cumbersome to wear and carry. You can always use in-ear earphones but you need to hold the mic close to the face for proper communication. This will engage one hand that should be busy coding, driving or doing something creative. These Bluetooth headsets leave both your hands free and still relay your voice over the calls properly. Comfort: Headphones or earphones are often uncomfortable for continuous use. The earpads sweat you ears. The headband may be too tight and may apply undue tension on your head. In-ear monitors might be uncomfortable with both ears closed. And they are tied down by the cables. Bluetooth headsets go only in one ear and remain stable without much strain. Seamless operation: Bluetooth headsets switch between calls and media playing on your devices seamlessly. They are always equipped with buttons for easy management of calls. Size: The small size of Bluetooth headsets make them more portable than full-sized office headsets. They can be easily stuck in your pocket without any issues of tangling. Versatility: The earphones with mic can be used for both music and communication. 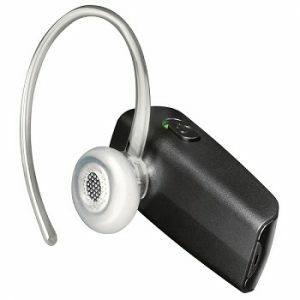 Bluetooth headsets generally go into only one ear and are customized for calls and conferences. We wouldn’t use them much for music playback. Noise isolation: Earbuds/earpads on both ears cut out some of the ambient noise so that you can concentrate on your call in peace. Even so, since office headsets are not completely noise-cancelling, some noise creeps in. With Bluetooth headset, one ear will be left open to the ambient sounds. What are the various Bluetooth profiles and what do they mean? On each Bluetooth headset’s spec you might find many Bluetooth profiles listed. In order to use the Bluetooth connectivity, both the connected device and headset must support some specific profiles. What do they mean to you in terms of performance? A2DP: Advanced Audio Distribution Profile (A2DP) protocol allows the devices to transfer good-quality stereo or mono audio wirelessly. Both your phone/laptop and the Bluetooth headset must support this for wireless streaming of sound. HSP: Headset Profile (HSP) is the most common Bluetooth profile supported by Bluetooth headsets and phones. This allows Bluetooth headsets to be used with mobile phones. It supports two-way communication but not stereo audio. That’s possibly why you have only one earbud in Bluetooth headsets. It also enables Bluetooth connection between headset and PC. AVRCP: Audio/Video Remote Control Profile (AVCRP) works in conjunction with the A2DP profile to remotely control media playback on distant devices. This allows you to control volume, track, call answer/reject and play/pause from the device and vice-versa. HFP: Hands Free Protocol (HFP) enables full-duplex wireless calls via Bluetooth phones. This is most often used in wireless in-car phones which allow you to take calls hands-free. When used with mobile phones, it enables features like call redial, call waiting and voice dialing. How to pair Bluetooth headset with your device? Charge both the Bluetooth headset and the phone to appreciable battery levels. Try to full-charge the headset when used for the first time. Power on the headset using its Power button. On most sets, an LED should start blinking. Press and hold the Multi-functional button to enter Bluetooth pairing mode. There might be an LED or a specific LED lighting pattern to indicate pairing mode. Place the headset close to the phone within 5m range. On your phone find Settings and turn on Bluetooth. In the newer phones, this will automatically trigger a scan for available Bluetooth devices in range. Otherwise you must select ‘Scan for Devices’ manually. Once you spot your headset on the list of available devices, select it. It might automatically pair or ask for a code. The codes are usually ‘0000’, ‘1234’, ‘0001’ or ‘9999’. If none of these works, contact the manufacturer. If your Bluetooth headset doesn’t show up on the list, either it is not in pairing mode or it might be under a rogue name. In the latter case, looks for device names that were previously unavailable. The new name could be your Bluetooth headset. Charge your Bluetooth headset. Turn it on and set it in pairing mode as explained in the Step 1-3 in the tutorial above. Make sure that the headset is placed close to the PC. Click on Start. In the search bar, search for ‘Bluetooth’. It should lead you to Bluetooth settings. At this point, the Bluetooth turns on and automatically starts looking for available devices. Or else, you have to manually ‘Add a Bluetooth Device’. This initiates the scan for available Bluetooth headset. Find and Select your headset. This prompts your PC to connect to the headset and download latest drivers if any. If the Bluetooth headset does not show up on the list make sure it’s in pairing mode. If no sound comes through the headset even though it has been paired, right click on the Volume icon on the bottom right tray of your screen. Select ‘Playback Devices’ and select your Bluetooth headset. Click on ‘Set as Default’. Call quality: The best Bluetooth headsets under $50 work on a tight budget. So we chose those which invest significantly on good call quality. We tested that communication was clear on either side of the call within the specified Bluetooth range. We also ensured that Bluetooth connection does not randomly drop frequently. Ease of use: The compact form of Bluetooth headsets can be both a boon and a bane. We checked the controls were easily accessible and promptly employable when the call is on. Durability: Against the constraint of budget, the best Bluetooth headsets under $50 also ensure durability. Your communication device should not bail on you while you are on an important call. Connectivity lag: Many Bluetooth headsets need a few seconds to be set up every time when connected. Or they take a few seconds to get connected on the call. These few moments could be precious based on who is on the other end of the call. The best Bluetooth headsets under 50 spring right into action fast. Plantronics Explorer 50 best Bluetooth headset has the best solution for anybody who was addicted to the Plantronics M50. M50 is discontinued leaving behind a streak of bleeding corporate hearts. And Explorer 50 is the only headset in Plantronics lineup that can match up. This is small, portable and incredibly easy to use, some may say easier than M50. But most importantly, this is way more affordable. Its matches and exceeds the expectations out of the best Bluetooth headsets under $50 set by the likes of M50. The Plantronics Explorer 50 Bluetooth headset is a simple piece of technology. It has a small cuboidal structure with an earhook. The hook goes around the ear from the front. An earbud protrudes from the headset and sets up home in your ears. It measures 3.5 inches x 1.2 inches x 4 inches. It has small buttons for power, call management and volume. If you press and hold volume buttons, the headset is muted and voila! You get a voice prompt announcing `Mute On`. If you repeat the action, you get a ‘Mute Off’ prompt. This feature was not available in M50. It is very comfortable for all day use. The earbud fits perfectly for almost all people. 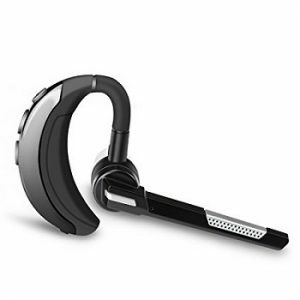 This Bluetooth headset has multipoint Bluetooth 3.0 connectivity with HFP, HSP and A2DP support. It can connect to multiple phones and engage the one that rings. The first pairing is voice-guided so you can start using it right out of the box. The battery lasts through 11 hours per charge. Whenever a recharge is required, Explorer 50 dutifully whispers in your ears to recharge it. It has a DeepSleep power saving mode which lets it hibernate and save charge when not in use. It charges from a USB cable. It can fit in either ear. Explorer 50 is compatible with Plantronics mobile applications like Battery meter, Find MyHeadset, Plantronics hub etc.. These are very useful apps which make it more valuable than headphones. Explorer 50 Bluetooth headset by Plantronics easily matches up with the M50 headset. The call quality is crystal clear. The Bluetooth connection holds even till the edge of your invisible range. You get a voice alert on the headset if you are about to go out of its Bluetooth range. The sound is balanced properly so the bass in nobody’s sound distorts. When compared to M50, the Explorer 50 gives equal attention to all frequencies. It sounds substantial. Though it is not as loud as M50 but volume is by no means inadequate. Only people who have used M50 before will notice the difference. The crystal clear sound will only be hampered in strong wind if you are standing outside. The buttons are smaller than that of M50, avoiding accidental redials. 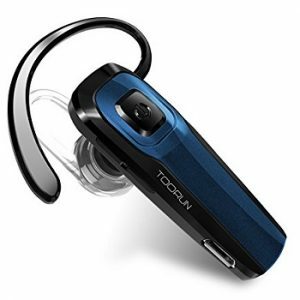 Toorun M26 Bluetooth headset is a shiny gadget that brings great value for money. Armed with the latest Bluetooth technology, this headset is priced very reasonably for everyone from truckers on call to corporate employees. Its various functionalities are easy to employ and aided by voice prompts. It complies with all Apple and Android phones which are Bluetooth-enabled. It checks all the boxes required to be on the best Bluetooth headsets under $50 list. The Toorun M26 Bluetooth headset is adept at holding on tight to your ears. An earhook protrudes from the structure which goes around the whole ear. This earhook is detachable. There’s also a loop attached to the earbud which latches on to the inner ear. It can easily hold the body of the headset to your ear without using the earhook. We used both to ensure a secure fit and neither the hook nor the loop bothered us. It has a multifunctional button on the top face and volume buttons on the side. LED indicator for power and pairing and micro-USB charging point are mounted on its body. It measures 2.01” x 0.65” x 0.3”. This Bluetooth headset uses Bluetooth v4.1 for wireless connectivity. It supports A2CP, AVRCP, HSP, HFP Bluetooth profiles. It has a wireless range of 33 feet. It can be easily paired with two Bluetooth devices at a time. So you can connect it to your laptop for Skype calls and with your phone for normal calls. While you work on your laptop, you will be automatically alerted of phone calls. Audio from only one connected device will work at a time. The battery lasts through 7 hours of talktime with just one hour charging. The standby limit is 120 hours. Voice prompts alert you to battery high/medium /low, Power on, Pairing, Connected/Disconnected etc.. Toorun M26 is compatible with the battery meter app which indicates its remaining life on the phone screen. Bluetooth 4.1 ensures much better audio quality that Bluetooth 3.0 and 2.0 in Toorun Bluetooth headset. It pairs up without any delay and relays pristine audio without any disturbances. The connection stays strong throughout the duration of the call. The volume is sufficient for noisy environments like the inside of a truck. The microphone is equipped with CVC 6.0 Broadband noise-cancelling technology that allows your voices to be picked up clearly. This cleans up the outgoing audio of ambient noise. To activate voice commands, you have to say Ok Google. Once the battery drains, you are just disconnected from the phone. Thankfully, it is transferred and you can continue the call on phone. At its price, it can be kept as a backup headset. Given its strong performance, many people use Toorun M26 as their go-to headset. Make sure to wear the gear that stabilizes the Bluetooth headset in your ears for solid audio. 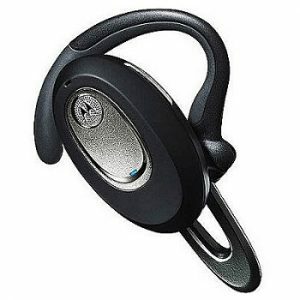 Motorola HK250 Bluetooth headset comes from a trusted name. This is a universal headset though of course, it works like a charm with Motorola phones. The design is simple but effective. You won’t be getting any fancy looks here. It looks plasticky but its durability is proven. With its effective communication relay it is an excellent bargain for the list. Its simplicity appeals to the people who just want the best Bluetooth headsets under $50 to carry their voices properly. 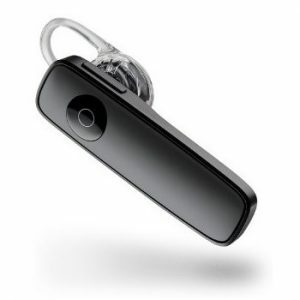 The Motorola HK250 Bluetooth headset is architecturally quite simple. The bleak black face carries the Motorola logo. The earbud protrudes from the headset to sit at the threshold of the ear canal. The earhook goes around the ear and grips it firmly but softly in place. There is no extra aid for fixing the earpiece. At its light weight, it supports itself pretty well. It measures 1.78” x .75” x 46”. This Bluetooth headset works wirelessly in a range of 300 feet from the connected device. At least that’s much better than the 33 feet range. We could walk through a moderately-sized house without much static except near electronic equipment like microwave. The mic has noise-cancelling abilities which work well inside a busy office. It might not completely blot out wind noise when you are outdoors though. The battery lasts through 7.5 hours of talktime. The standby is 10 hours. The wireless connectivity is enabled by Bluetooth 3.0. You get voice prompts announcing the caller name and battery level when it powers on. The HK250 Bluetooth headset can connect to two smartphones or two devices at the same time. You can be available on your personal and business phones at the same time. Once you go out of the Bluetooth coverage range and re-enter it, HK250 connects readily with a Motorola phone. The function might not be as seamless with phones of other brands. But with the 300 feet limit, we don’t think you will stray out of the range. The Motorola HK250 Bluetooth headset surprised us with its ability to sound startlingly clear for its price. Speakers on both ends can hear the other side clearly. Within its sizeable Bluetooth range, we found no issues at least up to 100 feet even with one wall between. Only strong winds seem to affect the voice of the caller from the headset. The audio of HK250 is clear enough to be used in PS3 games. In fact, it has been successfully put to use in the gaming domain too. So this Bluetooth headset can serve as a business and personal communication device. Only issue is when you raise the volume of the call, the volume of the voice prompts rise as well. These might sound too loud and shock you when the battery is suddenly about to die. The Plantronics M180 Bluetooth headset is the shiny brother of M165. And it comes bearing better and clearer sound. M180 proves why Plantronics is such a dependable brand when it comes to Bluetooth headset. It is comfortable, durable and has a bunch of relevant and easily accessible features. The noise-cancelling mic makes sure you never have a sketchy conversation with anyone. This stylish accessory ropes a position in the best Bluetooth headsets under $50 list. 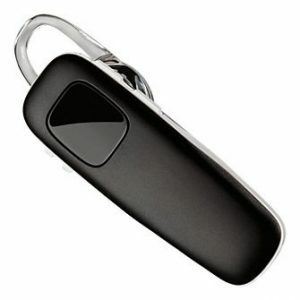 Plantronics M180 Bluetooth headset is an elegant piece. It comes in either gold or grey color, both of which have a muted glint. The body is supported by an in-ear earbud and a loop. The loop goes through the inner projection of the ear and provides a secure fitment. The main multifunctional button is on the top side which makes it easily accessible during an emergency. The power button is on the side. This Bluetooth headset provides excellent voice command services. With a single press, you can activate Siri, Cortana or Google Now for almost hands-free operation of your phone. You are alerted of the call by an Answer/Reject prompt. Very often you would be able to trigger Answer/Reject by just speaking it out loud. The battery lasts through 7 hours of talktime and the standby time is appreciable. It also has a Deep Sleep hibernation mode that saves power while you are not on calls. It comes with a USB-to-Micro USB cable but a wall charger is not included. A lot of people are fans of the M165. 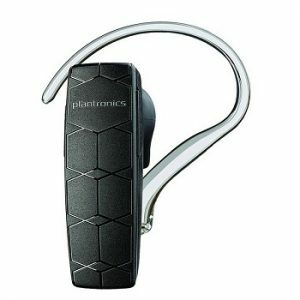 The Plantronics M180 Bluetooth headset is a great alternative for that. It sounds noticeably clearer than the M165 although its battery life is lower. While this may not seem like that big a difference, it is. It might be evident in a call that costs your firm millions or gets you proper directions to an important destination. The voice commands are more than just a gimmick in this headset. They actually work, especially the call answer/reject part which is very useful while driving. The earbuds provided with this Bluetooth headset seal out your ear well from background noise. The noise-cancelling mic tones down the blabbering teammates around you. The communication is smoothened out by the comfortable fitment. It’s lightweight and stable which makes sure that 100% of the voice of the other end is delivered to you. It does not announce the name of the caller like many headsets on this list do. The Firegram Bluetooth headset is an exceptionally well-designed equipment. Instead of throwing buttons around on a small earpiece, it has some uniformity to its design. Most importantly it allows you to mute the microphone, a functionality that very few headsets have. The sound quality is surprisingly clear for a brand outside of Jabra and Plantronics. Firegram blazes through to a place in the best Bluetooth headsets under $50 list. The Firegram Bluetooth headset is an arch that goes behind your ear. So the bulk of the design is behind the ear. This includes two volume buttons, a power button and a USB charging cable. The front side has a microphone boom which rotates 270° if you want to wear the headset in the other ear. The multifunctional button is also placed at the joint of the boom. This button is raised from the surface and easy to spot with your fingers. The design balances weight and space in such a way that the buttons can be readily reached but it is not bulky. It is accompanied by two earbuds which allows you to wear it in either ear. This Bluetooth headset connects wirelessly through Bluetooth v4.2. The maximum range of this is 33 feet. The battery lasts through only 4 hours and standby is 100 hours. The battery life is not as good as many headsets on this list. The mic can be muted by pressing and holding down the Volume- button. The same action can unmute Firegram. It can connect to two Bluetooth-enabled devices at the same time and stream audio from one of them. When a call comes in on the second, it gets the higher priority. A bright LED indicator updates you on the power and connection status. The Firegram Bluetooth headset is one of the few headsets that we tested music on first. We were taken aback by the punchy bass and balanced tones. The audio sounds substantial. It’s not tinny-sounding. The audio during calls is clear. The noise-cancelling mic ensures that the audio from your end is devoid of ambient noise. The performance is enhanced by a very comfortable and lightweight fitment. The wireless connection on this Bluetooth headset does not suffer any connection drop or static. The stable connection makes it a reliable device for crucial business calls. It connects fast and results in an undelayed response. Bluetooth v4.2 is supposed to sound clearer than previous versions and doesn’t suffer much interference from other devices or internet connection. Voice prompts keep you updated on the battery status and other milestones. The earbuds of different sizes give you an option to find the best seal. And better seal ensures better sound quality. The Plantronics M70 Bluetooth headset can fool you with its plain black unassuming looks. But its performance is confident and assertive. At its nominal price, it manages to pull off the most relevant Plantronics Bluetooth features well. The headset is so lightweight that you almost forget it’s there. Plantronics M70 is proven to be surprisingly durable and fit for a place in the best Bluetooth headsets under $50 list. The Plantronics M70 Bluetooth headset is unremarkable-looking as we mentioned before. It’s completely black with a strip of silver running through the side joints. A big glossy button on the front side breaks its matte finish. M70 is supported by an ear loop and the earhook. The former latches on to the small projection in inner ear. The earhook goes around the ear. The earbud is mounted with a soft eartip that is comfortable for long hours of use. Some folks came out with horror stories of M70 going in the dryer. Somehow M70 has survived every time in this chummy relationship with the washing machine. This Bluetooth headset offers voice prompts in three languages: English, French and Spanish. They tell you the battery level, talktime remaining, call answer/reject alerts etc.. Between the multifunctional and volume buttons, most of the audio functions can be controlled. It works seamlessly with Siri and Google Now voice commands. The battery lasts through 11 hours per charge. It also has a Deep Sleep power-saving mode which hibernates it when it’s out of range from the connected device. This can keep M70 alive for almost 6 months. The audio of Plantronics M70 Bluetooth headset is what ultimately made it worthy of this list. The clarity of communication is immediately apparent when you get on the first call. It is programmed to remove wind noise and echo from the calls for better speech quality. The audio signature is good enough for listening to music as well. It’s not tinny or boosted in the vocal range just for calls. The speech from this Bluetooth headset remains static-free in the 35-feet range. It sounds good on both sides, so much so that people think you are directly talking into the phone. 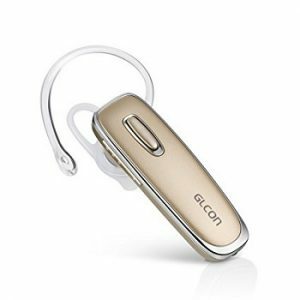 Glcon GJ-02 Bluetooth headset does not come from a name brand. So at first, we were hesitant to try it out. But it’s a high-performing headset with some curious features. It is durable and reliable for regular office use. It’s quite stylish to sport with any attire. The latest Bluetooth and noise-cancelling properties ensure that communication remains clear on both sides. GJ-02 has many cool qualities to earn it a place in the best Bluetooth headsets under $50 list. The GLCON GJ-02 Bluetooth headset comes in three colors: black, gold and white. We are partial to the gold model and all of them are unabashedly fashionable. The architecture is traditional. The top face has a raised multifunctional button. One side has power on/off button and the other side has volume controls. The micro-USB port is at the top. An earloop and an earhook support this headset on your ear. Almost all the operations can be directly controlled from the headset rather than the smartphone/laptop. The highlight feature of this Bluetooth headset is a slave earbud. It connects to the micro-USB port and goes into the second ear. This channels audio to both ears. The battery lasts through 8 hours. Unfortunately, GJ-02 reminds you of the battery low situation just a minute before it dies. It is compatible with the iPhone battery meter app. It can pair to two devices simultaneously and take calls on priority basis. It connects via Bluetooth 4.0 which is more energy-efficient and much clearer than Bluetooth 3.0. Glcon GJ-02 Bluetooth headset is so comfortable that people often forget it is perched on their ears. This contributes to its enjoyable audio. It gets even better when you use the slave earbud for sound in both ears. If you are in a particularly noisy area, this second earbud is of great help. The mic has noise-reduction capability, which makes sure you are clear and legible on the other side. GJ-02 performs suitably well with not just calls but also Google maps directions. Music playback is enjoyable with the use of slave earbud. Even in the 0-$50 price range, this is one of the most affordable options. So we were impressed by how well it works for the price and the extra perk of a wired slave earbud. Jabra is a giant in the Bluetooth headset market. And the Jabra Talk oozes that quality in every sense, looks and performance. This is a beautiful specimen with bold and elegant design. It has all the top-notch features in $50 range. And being Jabra it performs well in all domains. This is a sturdy headphone with reliable performance. As long as you circumvent the counterfeit pieces, these are one of the best Bluetooth headsets under $50. The Jabra Talk Bluetooth headset has beautiful curves and color combination. Its grey face is broken only by a silver plate with Jabra engraved on it. The sides all have muted silver glint. The power button is situated on the inner side and stays safely out of the way. The volume buttons go on the side. The multifunctional button is large and built for tactile advantage. The earbud is designed to stay on the foyer of your ears. The earhook is detachable and is shipped in two different sizes with the pack. This Bluetooth headset depends on the multifunctional button for almost all its functionality. You can answer, end, make or reject a call with it. You can also activate voice dialing and redialing last number. The position of this button at the top of the front face may not be a good decision though. You can set it off accidently by simply adjusting the headset. The battery lasts through 6 hours on one charge. 8 days standby time keeps it alive when you have forgotten all about it. Voice prompts keep you updated on the device status and walk you through the setup process. Jabra Talk can connect to two devices simultaneously. You can be using your personal phone while keeping an ear on the business phone. 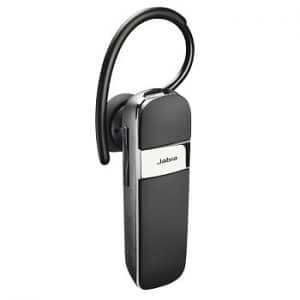 The Jabra Talk Bluetooth headset uses HD voice technology for exceptionally clear sound quality. The Bluetooth works seamlessly on the good pieces. It does not falter within the 30feet range easily. The sound balance is skewed towards vocals so that you can hear the conversation clearly. It can be used to stream GPS instructions, music from the phone and internet radio. There’s no static within the Bluetooth range. The hassle-free arrangement of functions via the multifunctional button ensures you do not make any mistake. The Shareconn Bluetooth headset is a good-looking piece of the lot. This has the movable mic boom design where most of the buttons go behind the ear. This allows the buttons to be readily available for clicking. A separate Mute button makes the Shareconn set invaluable. It is constructed to look formal and serious. At its modest price, it’s hard to keep it out of the best Bluetooth headsets under $50 list. The Shareconn Bluetooth headset is a buff piece of hardware at the back of the ear. But in the front it looks all petite. The receiver piece rotates 180° which allows you to wear it on either ear. The microphone rotates 200° which again makes pickup more directional and available in the other ear. The multifunctional button is on the helm of this boom arm. The backside has the volume buttons and the Mute button. The in-ear earbud keeps it stable in your ears. The Mute functionality is very considerate in this Bluetooth headset. It keeps announcing Mute in intervals as long as the headset remains in that mode. Some people find it irritating. But it’s very useful for when you start speaking without turning off the Mute button. Bluetooth v4.1 keeps the wireless connection stable. The battery lasts through 9 hours on a single charge. The battery standby is 200 hours. The charging process only takes 1.5-2 hours for a complete charge. You can connect two devices to Shareconn at the same time. This way you can keep tabs on two devices at the same time. The Shareconn Bluetooth headset uses Bluetooth v4.1 for wireless connectivity. This is the new format which is energy-efficient and ensures stable connection. It has AptX support, so if the connected device also supports AptX you will get excellent audio quality. The mic has CVC 6.0 noise-cancelling technology which creates a quite atmosphere for the call. Voice commands work like a well-oiled instrument. The caller is announced when the call comes through. It gets loud enough to be heard over the whirring of the engine or random adlib around you in the office. As small and handy as the Bluetooth headsets are, you know what’s cooler? A headset with classic flip boom. The Motorola H370 Bluetooth headset comes with a bendy boom which allows you to pick calls immediately without taking your hands off the wheel for too long. This is a sturdy but lightweight design channeling clear and articulate audio. 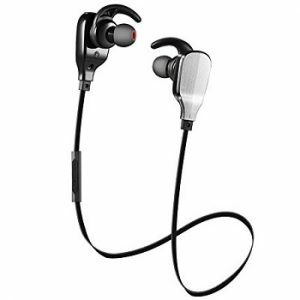 There are also other option with similar features with the best Bluetooth headphones under 50. The design of Motorola H730 Bluetooth headset is a respite from the usual geometric architecture of headsets. It’s all attractive black curves with metal highlights. The buttons stand in stark silver contrast and are easily discernible by touch. The flip boom projects from the bottom of the headset. With a simple flip you can answer calls. This is easier than locating the multifunctional button based on touch. It’s less distracting if you have to take the call while driving. A thick earhook protrudes from the headset which distributes the pressure evenly around your ears. The earhook can be removed. It fits small ears well, which many headsets rarely do. This Bluetooth headset has a dual mic system to eliminate noise from the speech. You get voice prompts about battery life and the identifier of the device which is relaying the sound at that point of time. So it follows that H730 can connect to two smartphones/devices at the same time. The audio is played from one at a time. The battery lasts through 12 hours on a single charge where most systems average only 7-8 hours. The standby time extends to 336 hours. Incoming caller names are announced on some phones but not all of them. We wish that Motorola was more consistent in this. The Motorola H370 Bluetooth headset is a hit-and-miss in terms of audio quality. The sound quality is top-notch. People on the other end of the call will not realize that you are using a headset. But the Bluetooth connection is not as stable in all the pieces. We don’t know if this is a problem with counterfeit pieces. We suggest that you check the headset out by walking away from the connected source before buying or buy from a place which allows returns. The dual microphone system of this Bluetooth headset removes ambient noise from your speech. The fitment makes sure that the headset stays connected firmly to the ears. It does not invite any static into the audio. The volume is good for noisy offices and vehicles. Except for the constant disconnects reported in some pieces, this would be on the number one spot on the best Bluetooth headsets under $50 list.